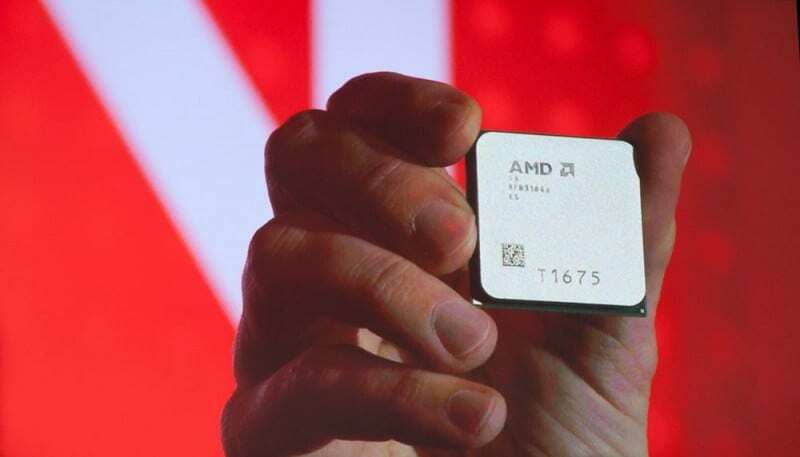 It's about that time again as AMD is gearing up to release a new round of processors to the masses. 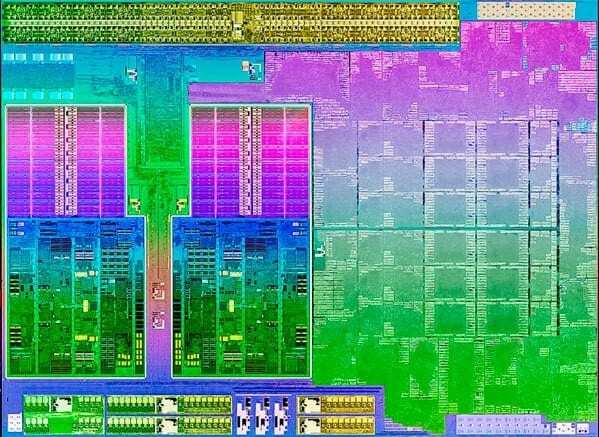 We're set to see a series of new processors based on the "Piledriver" architecture which include new APUs for laptops and desktops codenamed "Trinity". 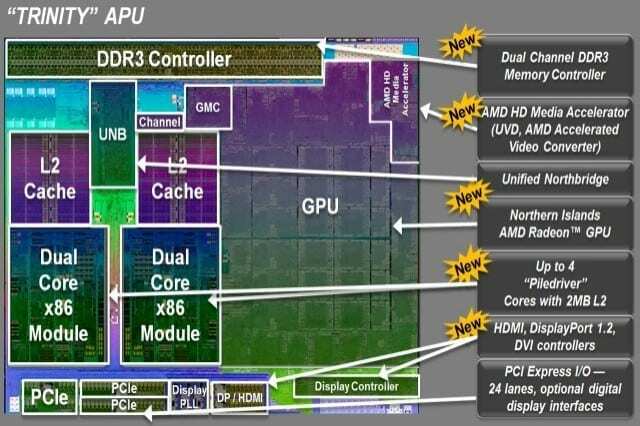 The AMD FX line will also see a similar refresh which is slated for the beginning of Q4 2012. However, we're expecting to see the FX lineup delayed until Q1 of 2013. Instead, we're going to review what we do know about the upcoming Trinity APUs and the new "Virgo" Platform. Lets start with the code name itself. Trinity is so named to identify the concept of merging the CPU, GPU, and Northbridge all onto one chip. This means less overall space needed on motherboards since additional chips for GPU and Northbridge functions will simply not be needed. This paves the way for smaller, lighter, faster machines. The original AMD APUs were based on the Stars core design with a beefed up memory controller. The new Trinity APUs are based on Piledriver (Enhanced Bulldozer) architecture which means they get the benefit of the new instruction sets such as AVX, AES, SSE4.1, and SSE4.2. This can be a huge boost in performance for newer applications compiled to use these instruction sets (code paths). The APUs will also gain Turbo Core 2.0 which allows higher boost states than previous APUs and is available to all models. This was first introduced in the original AMD Thuban Six Core processors. The details of the architecture for he processors is now well known since Piledriver is for all intents and purposes, an enhanced Bulldozer. A quad-core Trinity chip will be two modules sporting two integer cores with all the same shared segments including the fetch, L2 cache, and 128-bit FPU. Each module has a 2 MB L2 cache shared by its integer cores or 1 MB per core. Unlike their FX brothers, Trinity chips will not have a shared L3 cache. This could actually improve performance since many believe the relatively slow speed of the L3 cache to be an issue with current AMD FX processors performance with single threaded tasks. We noticed some performance anomalies with AMD FX in our launch article (Part One / Part Two). The Trinity chips will continue the 32 nm SOI fabrication which is a shortcoming. The reason I consider this an issue is the focus of the APUs continues to be mobile market and low power, small form factor desktops. 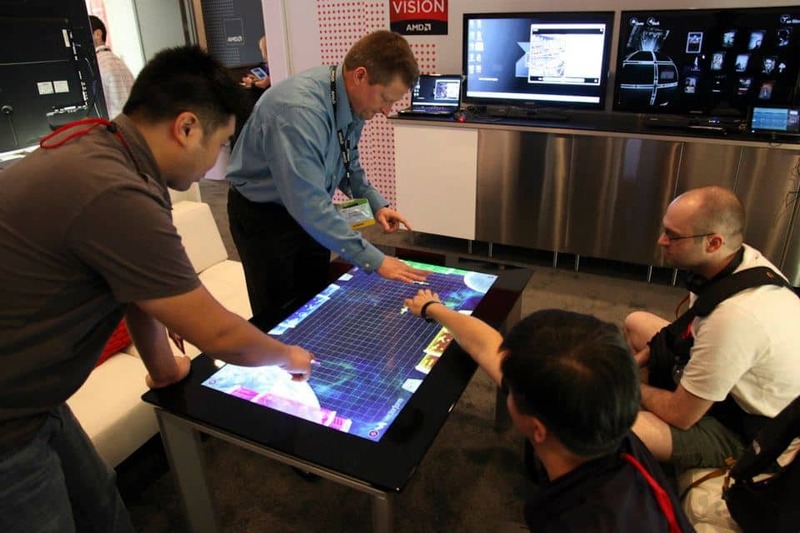 Intel has proven already that the 28 nm fabrication brings down power consumption and heat. AMD is taking a different approach in the interim with the removal of both the L3 cache and updating to the more power efficient AMD 7000 series GPU on-die. The on-die AMD 7000 Southern Northen Island family of GPUs (even though it is labelled a 7000 series) means all Trinity APUs will have fewer Radeon cores compared to their Husky counterparts, with a higher default clock speed, and lower overall power consumption. For example the current top-tier A8-3870K uses the AMD HD6550D with 400 Radeon cores clocked at 600 MHz, while the Trinity top-tier A10-5800K has a HD7660D with 384 Radeon cores clocked at 800 MHz. The HD7660D has 4% fewer cores, but has a 33% boost in clock speed. This should actually net a nice gain in graphical performance which we should hopefully see in testing once we get our hands on production parts. The on-die GPUs will also benefit from the AMD ZeroCore technology introduced with the 7000 series. ZeroCore actively reduces power use when you system enters a long idle state such as standby with the screen off, or if the screen is displaying a static image. This will reduce power use during those idle times and reduce overall power consumption of the Trinity based processors. There are two Platforms for Trinity. The Comal Platform is the model segment for laptops and tablet devices. These chips can be ID'd by the AX- 4YYYM naming scheme. This currently includes the A6-4400M, A8-4500M, A10-4600M, A6-4455M, and A10-4655M. The A6 will be paired with an HD7500G on-die GPU with a single module for a dual-core design. The A8 and A10 will be paired with HD7600G GPUs and are all quad-core chips. The Virgo Platform will be the desktop series for Trinity and denominated by their AX-5YYY naming scheme. This currently includes the A8-5500, A8-5600K, A10-5700, and A10-5800K. The "K" here denotes which chips have unlocked multipliers as it did with previous Husky APUs. All of these chips are two module quad-core chips with dual-core versions slated for the future. Not to be left out in this round of updates, the FCH (Fusion Controller Hub) is also getting an update for this platform refresh. This update will not be as large as the APU however, which is switching to a new core design. The name for the new FCH is the A85X (Hudson-D4) and the only difference so far as the specifications say on AMD's site, is an update to the SATA controller support specs which will move the number of SATA 6 Gb/s from six to eight. It will also support RAID 5 in addition to the previously supported RAID 0,1, 10, and JBOD. This signals great potential for a small but capable HTPC with a more options for data redundancy and performance. The release of Trinity has been a little dysfunctional. The original release of the chips to vendors was to be June, which was on time. In fact, you can buy laptops right now with Trinity APUs from select vendors such as Dell, HP, and Acer. The first models were released back in July. The desktop Trinity APUs were to be shipped in July and available in August, but this is where it gets complicated. The HP Pavilion P7-1235 with an AMD A8-5500 is listed here at walmart.com is available right now. When you attempt to find the product on HP.com you will not. In the support section the model is listed as supporting any AMD APU including Trinity chips. During the month of August when these desktops were scheduled to be available, AMD announced a delay in the release until October 2012. This was done for a number of reasons including selling the remaining entry level Athlon II and Phenom II chips that will be phased out. It was also done to combine the Trinity desktop release with AMD FX Vishera (Piledriver update) for maximum effect. I believe Wal-mart has mistakenly listed the desktop as being available, not being informed of the recent delay. It could also be possible that shipments were on time, but the release date was moved back. Walmart could actually have these in stock, but I doubt they would actually ship them if you order one. If you managed to get a hold of one, do let us know in the comments below. We'd love to hear what you think of it. I think the Bulldozer architecture is solid, but not being implemented very well at this point due to several changes in methodology and leadership at AMD. I believe Trinity will improve over Husky based APUs in every category thanks to the Piledriver architecture, but I am concerned about single threaded performance. I hope to see improvement in single threaded performance as it was my only real issue during the Bulldozer review. This is a double edged sword though as the improvements in this area could be the result of the missing L3 cache. Since the forthcoming Vishera FX chips will have an L3 cache, it could lose any single threaded performance gains Trinity may have realized from not including the L3 cache. Trinity should be another step in the right direction for AMD in the mobile market. Leveraging the 7000 series GPU as the on-die graphics for Trinity should once again give AMD something to brag about in this space thanks to superior graphics and power consumption. I don't think Trinity will have a big impact on the desktop market. For vendors like HP, Dell, etc. it will just be business as usual with new chips with better performance replacing the older models. But we do remain openly optimistic at this point. It will not be long before we can see first hand if Trinity is a step up for AMD or just a pit stop to the CPU performance they need to implement to compete with any of Intel's new offerings including Haswell which debuts next year as their low power/high performance platform for the mobile market. Either way, I look forward to being impressed with the graphical performance of the Virgo Platform. Help Us Improve Our Articles and Guides By Leaving a Comment Below!